With buildings, both new and existing, being subject to a variety of accessibility requirements, the Safranek Group provides expert accessibility consulting to clients regarding compliance with accessibility provisions. 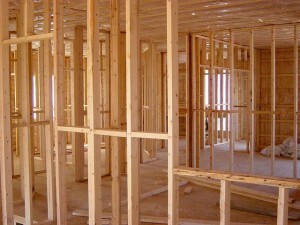 These provisions include ones enforced by municipalities and states as part of their adopted building code. The most common of these building codes are the International Building Code (IBC) and the California Building Code (CBC). In addition to the accessibility requirements found in building codes, often there are additional Federal Statutes for accessibility, such as the Fair Housing Act (FHA) and the Americans with Disabilities Act (ADA). For these Federal Statues and any other accessibility requirements, the Safranek Group specializes in assisting clients with determining how to best comply with the applicable regulations. For accessibility consulting, we act as a neutral entity. In this role, we work closely with clients to assist them by seeking compliance with regulatory obligations while also utilizing a risk management approach. This risk management approach provides clients with information, based upon our knowledge of specific, critical, accessibility issues. These distinct issues are ones that commonly appear in accessibility complaints, particularly FHA and ADA complaints. The Safranek Group augments its awareness of these items by using a custom database. It contains information derived from publicly available consent decrees between the United States Department of Justice and plaintiffs. With insight from these sources, we offer clients the opportunity to make informed decisions regarding their risk for issues related to accessibility compliance. To also support this risk management approach, the Safranek Group draws upon its strong technical and practical knowledge of accessibility requirements. This includes tracking new accessibility requirements and researching emergent issues. With a deep knowledge about accessibility compliance, grounded by extensive construction experience, we offer clients across the country, innovative and effective approaches in our accessibility consulting. 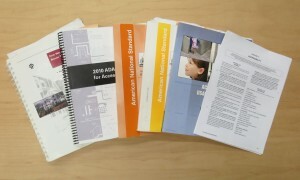 The Safranek Group has performed drawing reviews, construction observation, and building surveys for accessibility compliance on over a hundred projects while in the role of providing accessibility consulting services. Some of these projects can be seen here. With this experience as well as professional certification in accessibility compliance, we have a thorough and detailed understanding of accessibility requirements and continue to expand our knowledge on the subject. 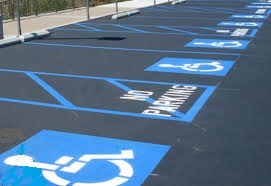 This includes accessibility consulting experience in unique areas, such as application of the Site Analysis Test, as found in the Fair Housing Act (FHA). This test is often used to analyze property for determining apartment units that will be exempt from FHA requirements. Flexible report formats including marked up PDF drawings; rather than a one size fits all approach, reports and their corresponding fees can be custom tailored to reflect the amount of information desired by a client. This includes opportunities to forgo written reports altogether and utilize marked up PDF drawings or to eliminate information from report spreadsheets. Paperless construction observation reviews; the time and expense of accessibility reviews, on site during the construction phase are greatly reduced by using RediReport™ customized electronic forms that can be emailed directly from the field. Use of simple, text and graphics on the forms, aids its users in quickly assessing compliance with accessibility requirements.